We’ve all heard the tell-tale phrase ‘you are what you eat.’ While we shouldn’t take this phrase in a literal sense, it does have some truth to it. Our skin is the largest organ of the body so it’s important to take good care of it. Today we’re talking to you about the foods necessary to get glowing skin and prevent aging! Vitamin A is essential for healthy eyes and skin! It’s also necessary for the growth and renewal of skin cells, which plays an important role in slowing down the visibility of aging. Vitamin C is the building block of collagen - it gives skin its structure, tone and elasticity. It’s known for its ability for fighting off free radicals. *Find it in citrus fruits like oranges, grapefruits and clementines. It's also in vegetables such as bell peppers, broccoli, cauliflower and leafy greens. Vitamin E reduces dryness and boosts skin’s UV defense, ultimately slowing down the appearance of fine lines and wrinkles. Omega-3 fatty acids makes for not only supple skin, but shiny hair as well (bonus)! The fatty acids repair damaged skin cells and dissolve fatty deposits that block pores. Items to skip or consume moderately (key word): dairy, alcohol, and foods that are processed or contain refined sugar. 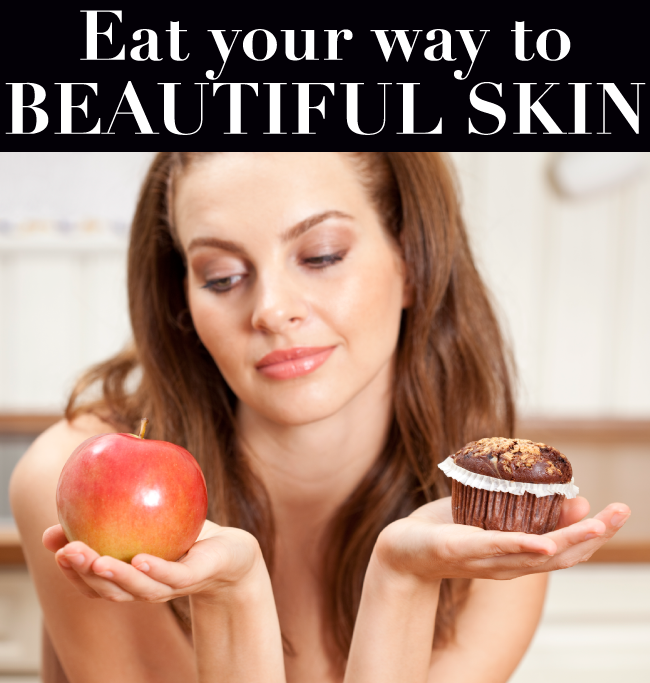 Who would’ve thought you could eat your way to beautiful skin? ;) What foods do you swear by for looking your best? We're glad you think so! Thanks for reading! Thanks for the post! I've been doing tons of research lately trying to figure out why my skin is just not cooperating with me. This information supports what I've been reading so far. NEW - E75 & E80!